May 30, 2018 – Chicago, IL – InsightsNow, an agile behavioral research firm, has been ranked on this year’s GRIT 50 Most Innovative Companies list, jumping 11 spots above its 2017 ranking to number 38. InsightsNow’s new innovative research communities, such as itsClean Label Enthusiasts™ community, and its custom behavioral reporting and scoring techniques, have helped move the company up the list. Which three research companies do you consider to be most innovative? Rank those firms you listed from most to least innovative. Why do you consider your number 1 ranked firm to be most innovative? The Creative Education Foundation (CEF) is proud to present Karen Lynch as the newest member of the Board of Trustees. CEF’s Board of Trustees is an international board, with members from the United States, Canada, and India. Many CEF Trustees are professional creativity trainers working with institutions ranging from GE to Wikimedia. Trustees also include the owner of an award winning marketing firm and a retired CEO and CFO with expertise in consulting small businesses and nonprofits. Board recruitment includes a rigorous vetting process that matches organizational needs with individual talents, with a particular focus on developing a leadership team vested in and exemplary in the values of creative problem solving, applied imagination and deliberate creativity. CEF is a nonprofit organization, and the CEF Board of Trustees is a 100% giving board. Karen is the Senior Director of Qualitative Research at InsightsNow, a research firm that offers a human-centered, behavior-driven approach and works collaboratively with industry partners to gain insight and direction, accelerating innovation and business success. 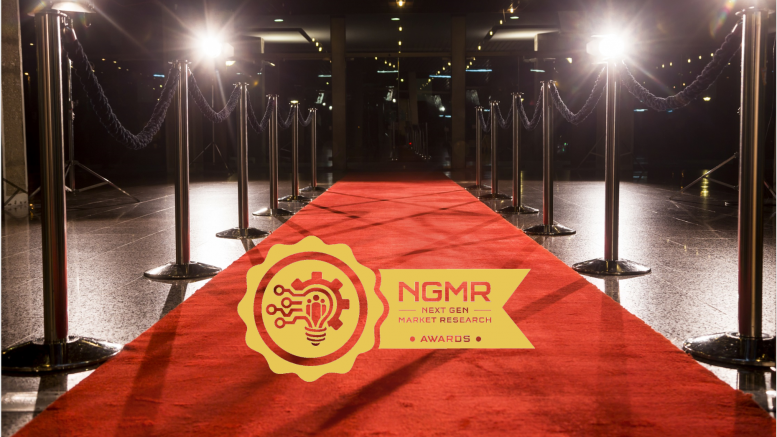 A 2016 winner of NextGen’s Disruptive Innovator award, Ms. Lynch’s innate curiosity, passion for creative problem solving, and unique perspective spark excitement and lead R&D, Marketing and Consumer Insights teams to breakthrough thinking, ideas and opportunities. Ms. Lynch is a lead instructor for Research Rockstar and a core faculty member at the Creative Problem Solving Institute (CPSI), CEF’s annual conference on deliberate creativity, innovation and change leadership. She is an active member of the Qualitative Research Consultants Association (QRCA), currently co-chairing their Creativity & Innovation Special Interest Group. Karen has a BS in Marketing from Fairfield University and won the 2013 Communicator’s Award of Excellence, honoring excellence in marketing and communications, presented by AIVA, the Academy of Interactive & Visual Arts. She is also a published author, with essays featured in several anthologies, bylines in online and print magazines and trade journals (e.g., QRCA Views) and mainstream consumer publications (e.g., SELF, Women’s Day, Wine Enthusiast). CEF Executive Director, Beth Miller, states, “We are thrilled to welcome Karen to the Creative Education Foundation Board of Trustees. Karen has distinguished herself as a talented and popular leader at the Creative Problem Solving Institute. In addition to her skills as a creativity trainer and facilitator, Karen’s expertise in marketing and passion for youth training in creativity bring needed and exciting skills to our leadership team.” This past June, Ms. Lynch’s son, Nick Lynch, also presented alongside his mother and for the benefit of CEF at the GlobalMindEd Conference in Denver, Colorado. In 1954, Alex Osborn, one of the original “Mad Men” who coined the term “brainstorming”, established the Creative Education Foundation. Osborn asserted that everyone is creative, and that creativity can be taught. In 1955, Sidney J. Parnes, joined Alex and together they developed the Creative Problem Solving process (CPS) and held the first Creative Problem Solving Institute (CPSI). With CEF and CPS training, Alex and Sid launched the first global creativity movement. CEF’s mission is to spark personal and professional transformation by empowering people with the skill set, tool set, and mindset of deliberate creativity. CEF’s primary programs are the Creative Problem Solving Institute (CPSI), an annual creativity conference that welcomes more than 400 people from around the world; the Journal of Creative Behavior, the first and longest running creativity journal; the Sidney J. Parnes Global Fellowship; and the Ruth B. Noller Grant Award. Online registration for CPSI 2018, running June 19th - 24th in Buffalo, NY, will begin soon. Thank you to our clients and industry leaders who nominated Dave Lundahl, InsightsNow CEO, as "2017 Industry Change Agent of the Year" by the Next Gen Market Research Group (NGMR) and Women in Research (WIRe). The award recognizes Lundahl’s cutting-edge work on building innovative online research communities, particularly a community of Clean Label Enthusiasts™ to serve researchers in all facets of the food industry facing business challenges related to the free-from food movement. Lundahl accepted the award this morning, which was presented by Kristin Luck, Growth Strategist with Luck Collective and Founder of Women in Research (WIRe) and Tom H. C. Anderson, CEO of OdinText.